Everyone's favorite store has got all the goods you need for the New Year. 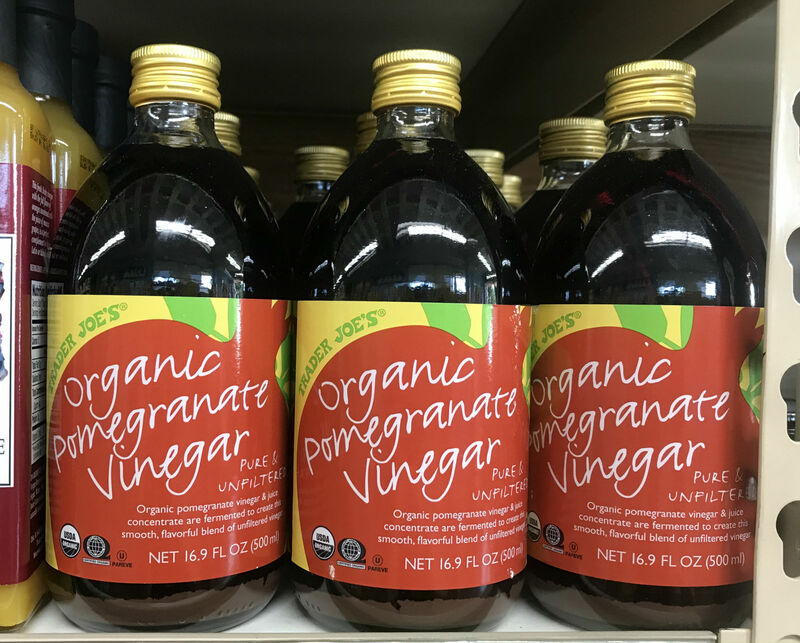 We all love Trader Joe’s, and when it comes time to Rosh Hashanah, there is even more to love about the store: They have everything you need for your holiday dinners. 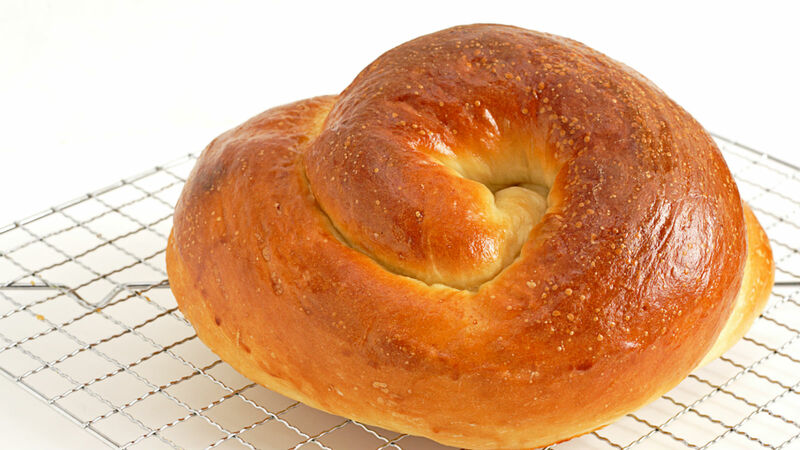 Yeah, Trader Joe’s has got round challah AND challah rolls. Make sure to pick up some hummus and other dips in the fridge section which are perfect for noshing with that challah. They’ve got tons of apples and about five to seven different kinds of honey depending on your store. Everything you need to start Rosh Hashanah on a sweet note. One of Trader Joe’s newest products is a hard cider, something a little fun and different for your celebration. If this doesn’t do it for you, they also carry traditional apple cider in the juice and drinks section. Making soup? Make it easy and buy some organic vegetable broth or organic chicken broth. Yeah, Trader Joe’s even carries kosher chickens. So if you will be making some roast chicken or maybe even a pomegranate chicken, they’ve got you covered. Speaking of delicious main dishes, you can grab your brisket at TJs also. Vegetarian? You can make a vegetarian brisket alternative using their canned jackfruit. Trader Joe’s loves pomegranates almost as much as we do. They have pomegranate juice, fresh pomegranate arils, and their newest pomegranate addition: pomegranate vinegar. Make an easy salad dressing using this vinegar, which is perfect on a big tossed salad at your holiday dinner. Don’t forget dessert! 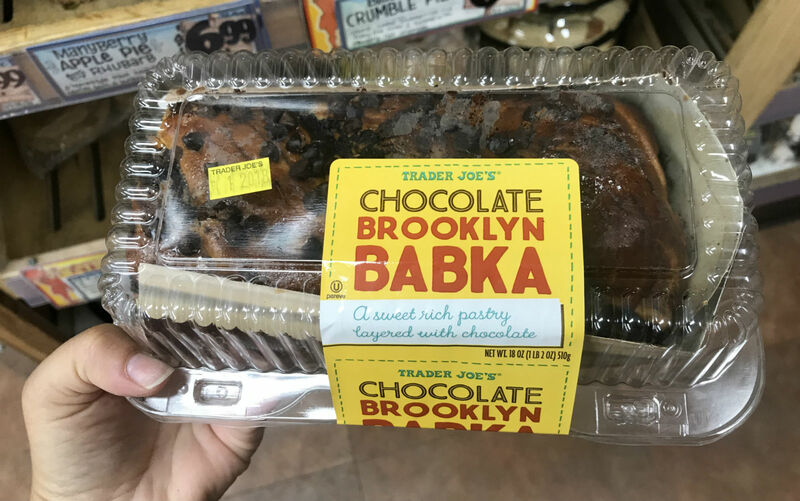 Trader Joe’s has a super rich chocolate babka, rugelach, black and white cookies, and even apple pie. Not to mention ice cream, cheesecake, macarons… basically any dessert you could possibly want to share with guests or hoard by yourself after everyone finally leaves.